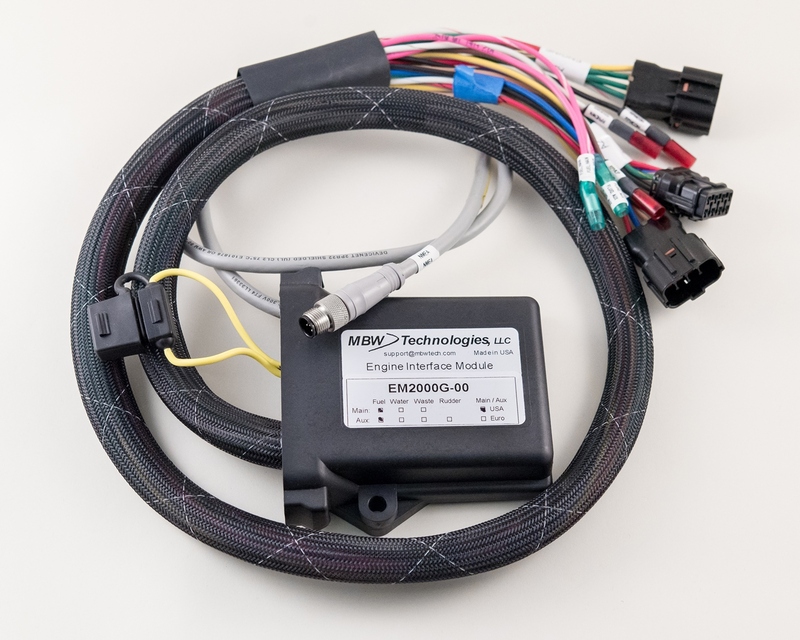 The EM2000G interface is designed as an analog to NMEA 2000™ plug N' play interface for Yanmar JH/YM installations using traditional B Panel ignition systems. The EM2000G is a single engine interface module that can be installed at the helm or engine room. No additional harnessing is necessary. The EM2000 contains Yanmar compatible connectors and is designed to be directly inserted into existing Yanmar helm extension harnesses. The EM2000 series product provides additional analog inputs for measurement of fluid level (i.e. fuel / water / waste).